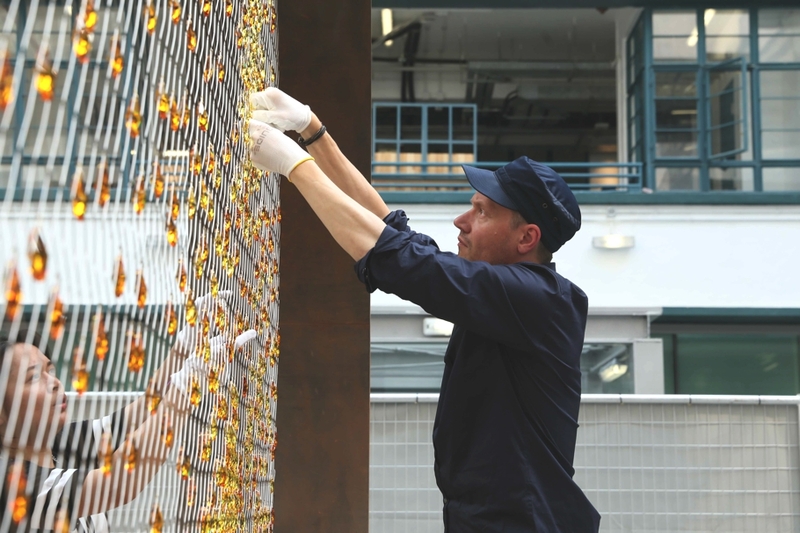 Known as ‘Prologue’, the new large-scale installation created by Fredrikson Stallard, was unveiled at the global design forum Design Miami/ Basel today. 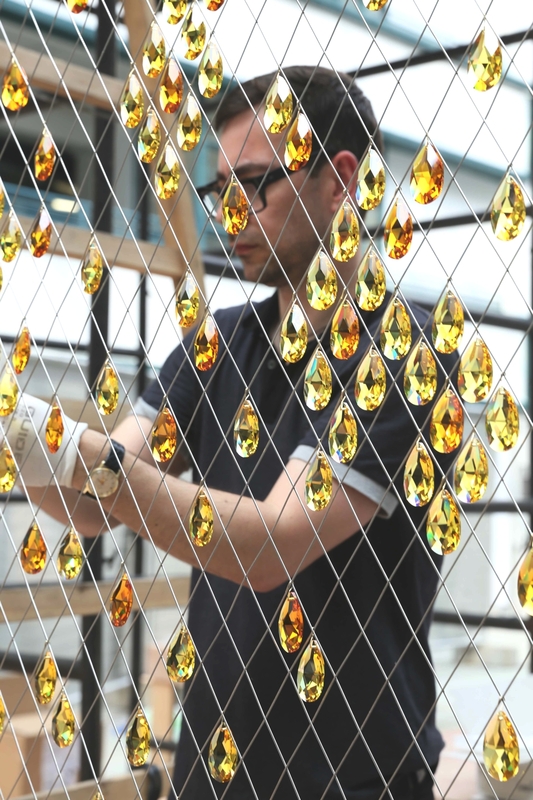 The latest collaborative work between Swarovski and the acclaimed London-based designers, ‘Prologue’ is a monumental circular sculpture holding over 8,000 golden Swarovski crystal droplets within a patinated steel frame suspended from a beam. ‘Prologue’s’ luminous ring mimics the iconography of the sun and it shimmers as it constantly reflects and refracts light as it gently moves. It is a powerful representation of new beginnings and also a more abstract symbol of life and rebirth. 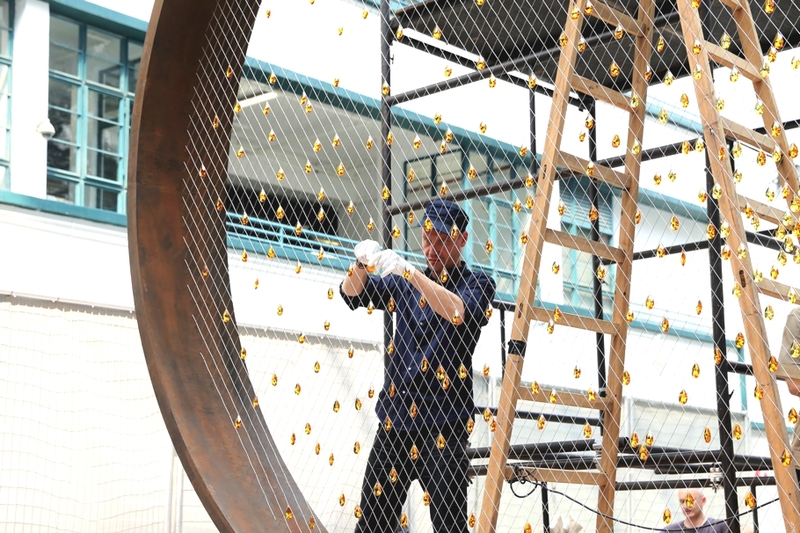 Patrik Fredrikson and Ian Stallard formed their design partnership in 1995 and have become internationally recognised as leading exponents of British avant-garde design. They are admired for their ability to translate their vision into simple yet emotionally engaging furniture and product designs. 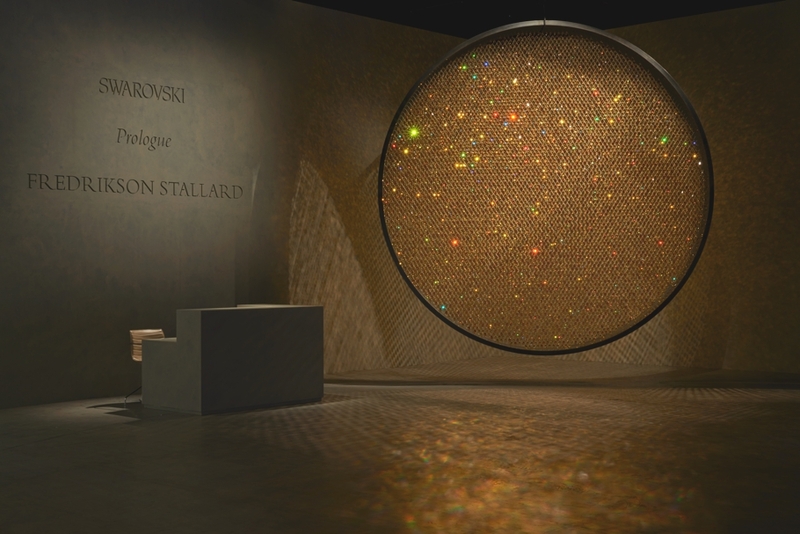 ‘Prologue’ by Fredrikson Stallard for Swarovski is the latest collaborative work between Swarovski and the designers, and was first shown at Art Basel in Hong Kong in May 2014. 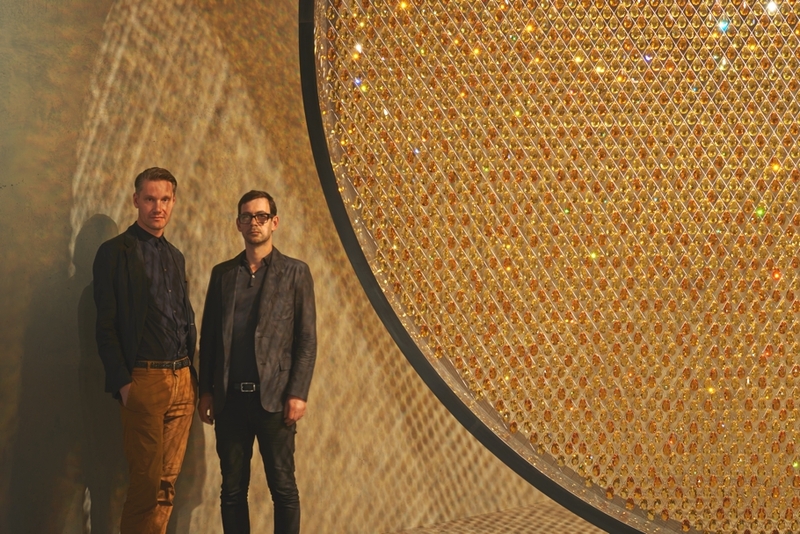 It is the second time Fredrikson Stallard have shown a dramatic large-scale installation for Swarovski at Design Miami/ Basel. The ‘Iris Collection’ was presented in 2011. 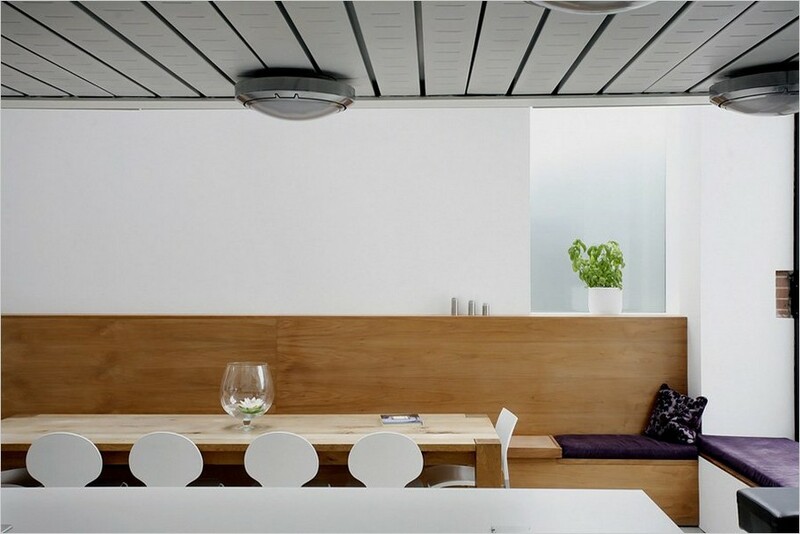 MOOARC designed La Concha, a home that has been remodelled from a 15th Century barn on the Island of Guernsey. This beautiful home is a perfectly executed example of clean, comfortable and modern spaces in the interior combined with glorious, traditional and effective natural materials such as stone and wood. 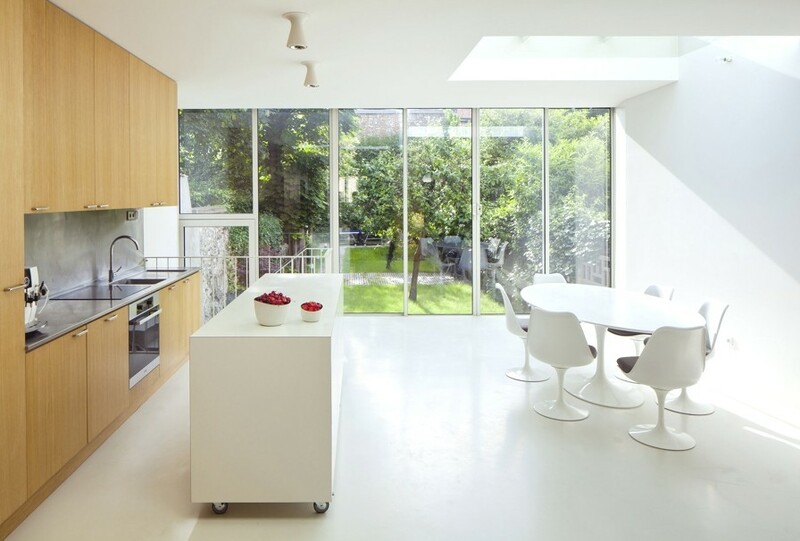 Paris-based architectural practice, AZC, has designed the House in Vincennes project. The chic 2,370-square-foot family home is located in Vincennes, France.